Editor's note: Lovin' Lyrics has been a supporter of Paul and his music since 2008 and we're so glad to see him finally getting the interest he's worked so hard for. 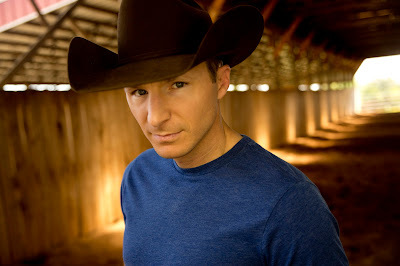 He's an artist you need to have on your playlist if you're a fan of traditional country music. 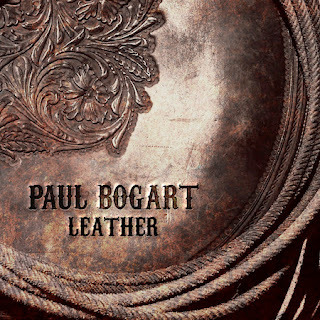 Traditional country stylist, Paul Bogart, announces the release of his new album, Leather, which includes the lead single, “All That Cowboy Jazz.” The project takes listeners back to the sound of an era country legends that included Merle Haggard, Johnny Cash and Hank Williams, all with Bogart's own spin. Produced by Sony Nashville recording artist, Trent Willmon (Little Big Town’s “Rain on a Tin Roof,” Montgomery Gentry’s “Back When I Knew It All”), the album can be found on Spotify, Apple Music, Amazon Music and www.paulbogart.com. These are sentiments Bogart knows firsthand, having grown up in Northeast Oklahoma in a family of truckers, team ropers and musicians. The title track hearkens back to those heartland roots and homegrown work ethic. “Not only is Paul a great singer and writer, he is a real cowboy…when he sings a song about it, he’s lived it," said Sony Nashville recording artist, Trent Willmon. Leather is poised to resonate with everyday people and fill an increasingly gaping hole in modern country music. It features songs written and co-written by some of the biggest names in country music — Jim Beavers (Gary Allan’s “Watching Airplanes”), Shane Minor (Eric Church’s “My Kind Of Love”, Kenny Chesney’s “Live A Little”), Easton Corbin and more. Though his songs are fresh and he himself is young, he is an old soul with a knack for capturing time-honored traditions and summing up classic sentiments in catchy, three-minute songs. Exuding sincerity and a rare, down-to earth charm, Paul Bogart is, simply put, the epitome of traditional country music.